Enjoy vacationing in one of our most popular beachfront villas! This upstairs end unit features renovated kitchen and baths and wood flooring through out the villa. This stylish villa is accented with beadboard walls and great colors. The living area is bright and spacious with vaulted ceiling, ceiling fan and extra windows offering great views and abundant natural light. There is plenty of comfortable seating for guests and the sofa is a pull out sleeper. After a day at the beach relax with a good book or enjoy watching sports and movies on the flat screen TV with digital cable. There is also a small CD stereo for guest enjoyment. The kitchen is appointed with granite counter tops and newer appliances. The granite bar has two stools too for casual dining at the counter or a cup of morning coffee. The bedroom features a king bed, flat screen TV, ceiling fan and a renovated private bath. Guests of this end unit enjoy free WIFI internet and FIDO can join you for this family vacation! Our stay at Seabrook was great! The rental unit was clean, well-equipped & had a lovely view of the beach. 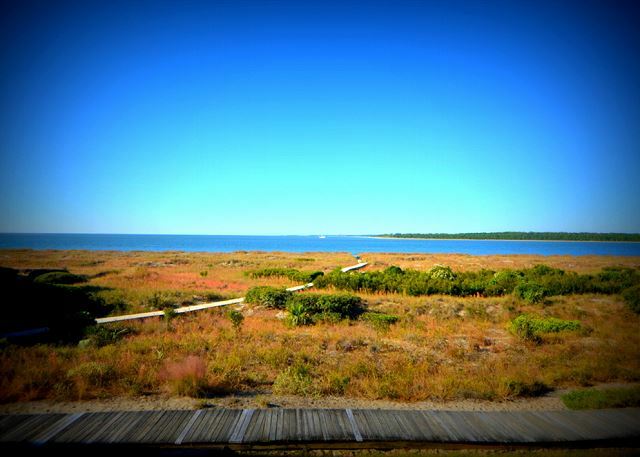 We've been coming to Seabrooke Island every year for over 10 years. We love the condos, the views and the tranquility. Pam Harrington Exclusives makes the booking super easy and efficient. We would recommend it to anyone wanting a peaceful retreat. A lovely spot to enjoy the beach, the view and the sunset. Clean, great view. Everything was ready. Would stay again. We have tended to gravitate to Seabrook Island's Pelican Watch villas for our vacations over the past 10 years because of its serenity and reliability for clean and well-maintained property units and the servicing of these units by Seabrook Exclusives. We had another great vacation on Seabrook Island. This was the first time we have stayed in this rental. It was clean and in good shape and the rental management staff was very helpful and stayed in communication. The weather was great and the beach was beautiful. The only downside was the DSL wifi, which meant we couldn't stream Netflix and Amazon prime for the binge watching TV in the evening that we planned. But that just made us go outside more, so it all worked out. My wife, dog, and I stayed in 1360 Pelican Watch 2nd floor unit Sept 24 - Sept 27, 2017 and it was fantastic. We had booked another unit but there was a issue with the remodel that the Property Management Company informed us about and they had this unit available during the same time period. What a relief. The unit was very clean, and seemed to be freshly remodeled. Everything worked from the door locks, frig, ice maker, AC, fans, water, etc. And the Weather was Wonderful. We saw deer, dolphin, and breath taking sun sets. We plan on checking it out again in 2018. We enjoyed out stay here. Sunsets were beautiful and the dolphins swim really close to shore. It was a great vacation! It was very nice, quiet and clean. Great accommodating for our dogs. The toaster didn't work and there was a light out on the stairwell. Tried to report but not clear how that should be accomplished. May have been due to the holiday. Overall great stay and I would return. We love this condo. It is our second stay at 1360. We are so thankful to be able to vacation in this beautiful condo! We thoroughly enjoyed our first trip to Seabrook Island. The condo was very convenient and well appointed and the community pool, restaurant, and beaches were fabulous. My wife and I, along with our yellow lab, thoroughly enjoyed our stay at 1360 Pelican Watch. The condo was immaculate, inviting, and the view was beautiful. The proximity to the beach and village shopping allowed us to soak up every moment of our vacation without the hustle and bustle of the beach crowd. We are already planning our next visit. EXCELLENT location and a dog-friendly area of the beach. Being able to walk out to the beach from the deck is valuable. TVs could stand to be a little bigger. Alligator Bikes delivered same morning as called and it is a short ride to the beach club area. Very relaxing. The local food was top notch and the island was picturesque. The view was beautiful. It has been long overdue, returning to Seabrook. We all needed a rest and Seabrook always provides a warm welcome. Our stay was perfect, even the weather. The only imperfection was a faulty refrigerator that would not cool enough. Although it was my fault for not calling to inform sooner, the rental agent was most helpful with a quick repairman and even compensated lost groceries! Thank you all for another wonderful vacation. In general our vacation was as wonderful as always, and Seabrook Exclusives did a great job ensuring that all our needs were met. A great location on Seabrook close to the beach club, and a short walk on the boardwalk to the beach. The condo was well equipped, tastefully decorated with lots of natural light and great views of the ocean and river. A bonus was watching the sunset from the deck every evening. 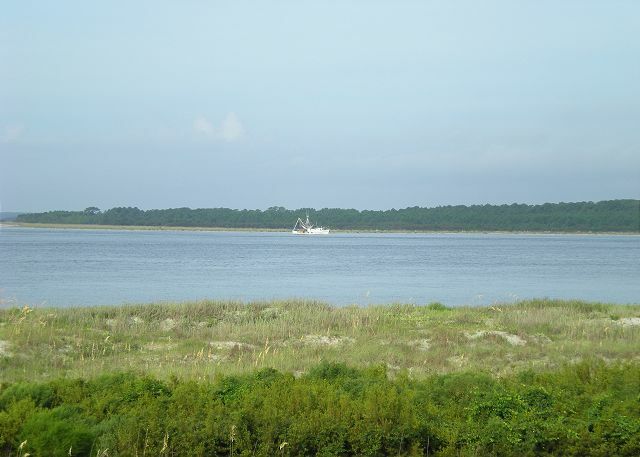 Treat yourself to the sound of the ocean and morning coffee with the wildlife, as you watch the shrimp boat come in. See sunsets that will take your breath away from a lovely condo that screams............never return! Beautiful beachfront villa with spectacular views! This is the first time I have stayed at Pelican Watch Villas in Seabrook. When I called inquiring about the property and what I was looking for (beachfront with a view and dog friendly) 1360 Pelican Watch was recommended. This villa is beautiful! It is very nicely furnished with hardwood floors and an updated kitchen. It was also the cleanest beach rental I have ever seen. The only complaint I have is that the kitchen really needs better lighting. Overall, I thoroughly enjoyed the week at 1360 Pelican Watch! The location was great! The top floor deck was a ring side seat to watching beautiful sunsets and deer grazing across the sand dunes. The condo was tastefully decorated and very comfortable. I would choose this same unit again and again. Great view, great rental, great sunsets, great rest. 1360 Pelican was one of nicest properties we ever rented on Seabrook. I hesitate to tell how nice it is or it will not be available when we want to rent it again. Bright, clean and comfortable. Kitchen could use a few more tools. Wonderful. The place was very clean and we loved the location. It would have been nice to have a couple beach chairs that worked but over all it was a great experience. The owner was very accommodating about our boat and our dog. Thank you for a wonderful and memorable family vacation. A wonderful week! We enjoyed the villa and Seabrook Island. Our view was great and the villa was central for our needs. The pool was within a 10-15 minute walk from the villas. Our experience was wonderful!! Seabrook Island is a beautiful place!! The entire experience was absolutely wonderful. From the reservations to the location to the furnishings, it was such a joy to rental from Seabrook Exclusives. This is our third time renting from them and will continue to do so. Very consistent properties. The rental was problem free, comfortable and well maintained--like a home away from home. Gorgeous view--the dunes and bay were right outside our livingroom window. We will stay there again. We have stayed a few times and were never disappointed. Bettern than Florida. We arrived at Seabrook just hoping for a little rest after an extremely difficult year. Shortly after we arrived, the weather cleared and we were able to establish a pattern of exercise, reading, and eating great food. The unit was perfect for us and our two dogs. We hope to return in October. Sure Beats an Ohio Winter. Pelican Watch is a beautiful property, and Seabrook Exclusives never fails to provide excellent customer service. Thanks Mr. Nance! We really appreciate you visiting with us again. A beautiful view with a wonderful beach right out the front door! The agent was very special in that the original unit I had rented was unexpectedly scheduled for a major repair and she put me in a nicer unit with phone calls etc to give me a heads up. This unit was special, both location and interior details. Will rent again definitely. We have been coming to Seabrook Island and Pelican Watch several times a year for 10 years. We always bring our canine kids and enjoy it every time. This was our first time staying at Seabrook and wanted to stay in a condo overlooking the ocean. Our one week vacation turned out to be very lovely. The condo is nicely decorated and airy. Being able to walk right out to the beach was a great plus! Loved that we could walk right from the condo to the beach. Enjoyed watching the dolphins and pelicans from the deck of the condo. Having stayed in 1318 Pelican Watch on three previous occasions, 1360 was every bit as nice. We prefer the upper units due to not having noise above us, having a better view of the beach and being a little farther from the "dog visits" in the grassy area in front of the villa. Good. We will be back. This was an incredible place to spend a week unwinding from Riley life stresses. If you want to interact with others, you can. We preferred our solitude, and we enjoyed it. It is a pet friendly place with nice beaches and lots of places to walk or bike to. Charleston is about a 45 minute drive due to the navigation of the limited access roads... But the drive is worth it. You have the best of everything within a reasonable distance. This is a great location and convenient to Charleston. We liked biking and walking in this peaceful setting where we have been many times. Our chronic problem is trying to make the transition from TV to DVD player. The problem occurred twice, solved by trial and error the first time in 45 minutes, never solved the second time. There must be an easier way. We thoroughly enjoyed the beach and water view from the balcony and main living area that allowed for wildlife watching as well. There is a short walkway out to the beach from the back entrance and we made good use of it! This unit is a corner condo so has good light and feels larger than it really is. We will ask for it again! Especially happy that it is a dog friendly rental. Property was very nice. Only one problem in that the washing machine didn't work properly. We had a wonderfully relaxing vacation. A couple of trips to Charleston, delicious lunches, a tour of Charleston, a visit to the USS Yorktown in Charleston Harbor, and a walk on the beach every day. Very nice condo with beautiful view. Seabrook Exclusives never lets me down. We have rented from Seabrook Exclusives several times a year for over twenty years and continue to have very good experiences. We are very pleased with the renovation of the Seabrook Island Club facilities and look forward to many more years of good vacations. I don't think I can stress how awesome our stay was at Pelican Watch! This was due to the amazing, AMAZING customer service that was brought to us by Kat at Seabrook Exclusives who truly came to our rescue when we were put in a bind by some other not-so-friendly owners of the condo we were staying in (not affiliated with Seabrook Exclusives). She helped us out on a Friday evening after-hours and was SO incredibly helpful, nice, and fun!! 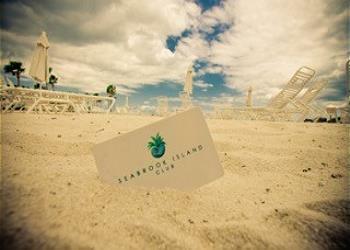 We know now where exactly to book our stay in Seabrook and won't look elsewhere! The condo was beyond perfect and a great place to spend my birthday! Thank you so much Seabrook Exclusives!!!! Nice one bedroom Pelican Watch with an additional bathroom. Great view of the water. Easy access to the beach, Pelican's Nest and the Club. evening, the view of the sunsets from the balcony is just sublime. 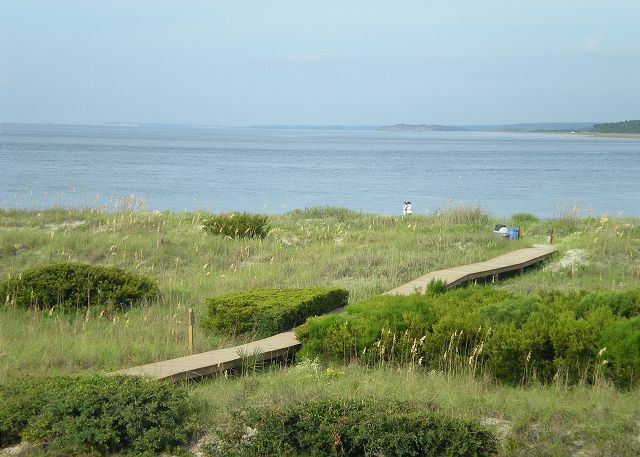 We love Seabrook and this 1 br Pelican Watch rental was the perfect place to stay. Kudos to the owners who equipped the place with everything you could want from toiler paper to paper towels to dish/bath soap. I am usually frustrated buying items that are little used for the week's stay. Kitchen was well equipped. Decor was great. Linens nice and clean. I would highly recommend this place and would also return. PS Pet friendly for us is a plus even tho we didn't bring our dog. You wouldn't know the place was "pet" friendly. I absolutely loved the unit and the location. It was clean and move-in ready!!! Your company manages my property, so it was a pleasure to experience what others must experience - how pleasant! The overall experience was great. Great view from the porch and just a complete escape from the outside world. Would highly recommend to anyone!